Click the image below to visit the Wisconsin Quilt Shop Hop website. 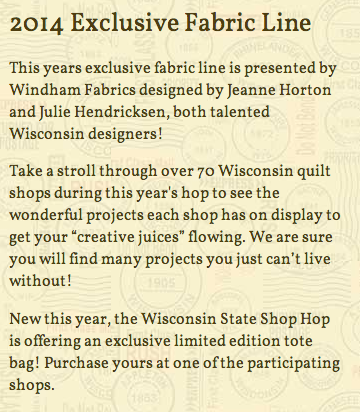 Windham Fabrics was honored to be chosen as the designer of the fabric line for the 2014 Quilt Wisconsin Shop Hop. Our line was designed by two of our talented designers, Jeanne Horton and Julie Hendricksen and we applaud their beautiful fabrics for reflecting so well upon us. 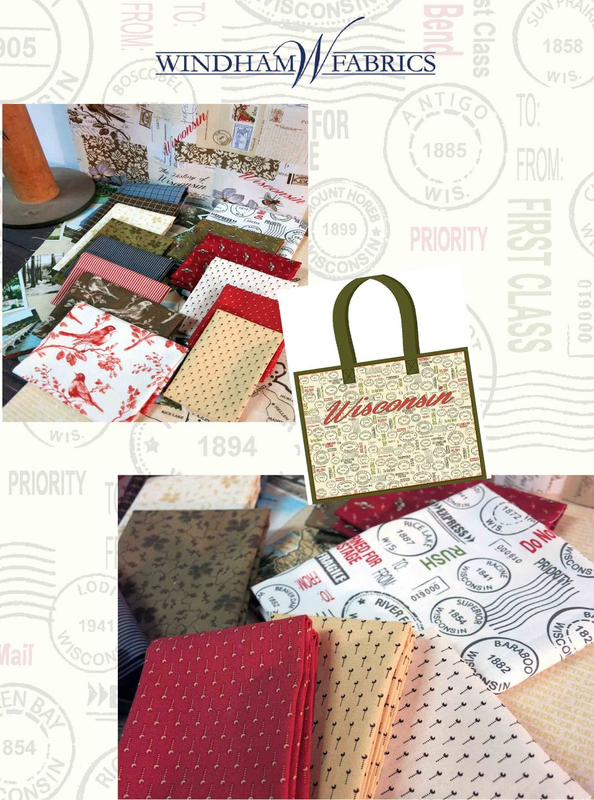 As the manufacturers of this fabric line, we were given the opportunity to choose from the best store displays in Wisconsin. 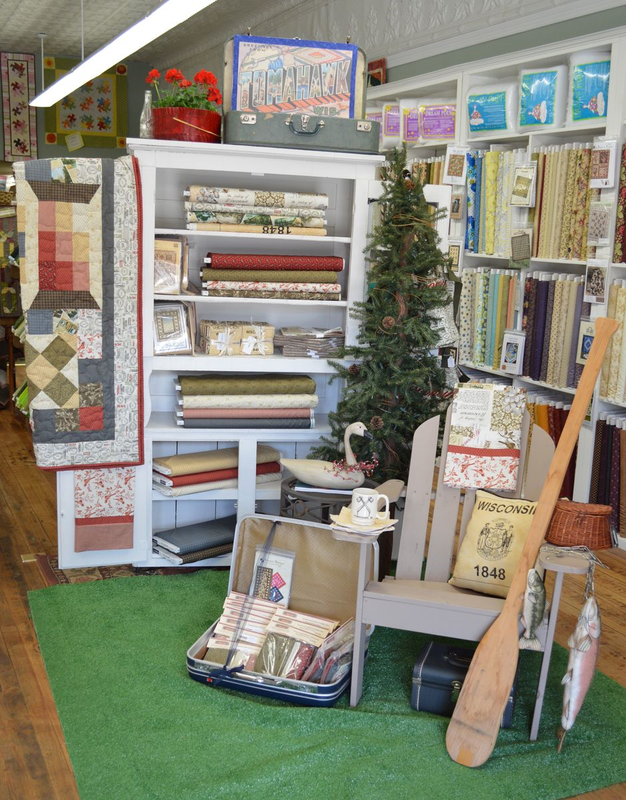 We are pleased to announce the winner of this contest: Sew Pieceful Quilting in Tomahawk, WI. Click below to visit Sew Pieceful's website. We loved the lodge items the staff at Sew Pieceful used to decorate and the way they displayed the bolts in the cabinet. 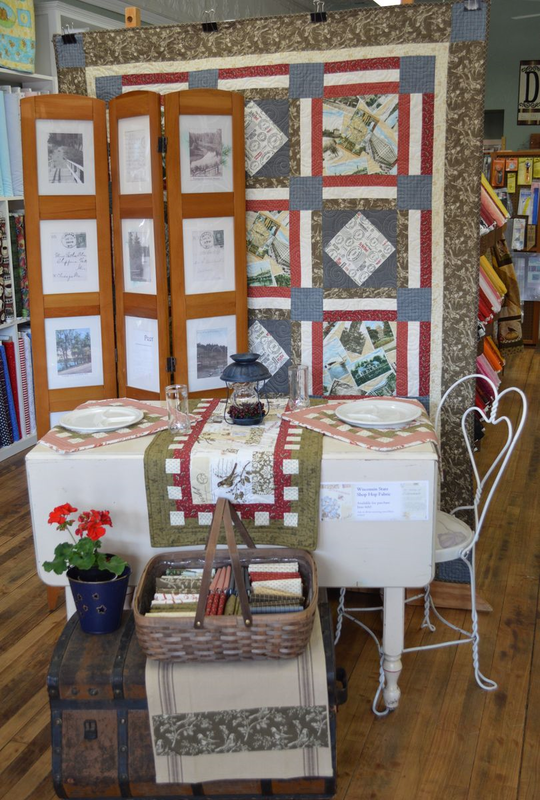 We thought this was a fabulous quilt and loved the way that they pulled out the postmark fabric with the vintage postcards in the framed screen. Love that table runner too! CONGRATULATIONS TO the OWNERS AND STAFF AT SEW PIECEFUL QUILTING!! !